Most of us take a look at the labels before buying food items to check if any harmful ingredients are present. We are still skeptical of certain products even if it’s FDA approved. But, are we this vigilant while choosing personal care or cosmetic products? 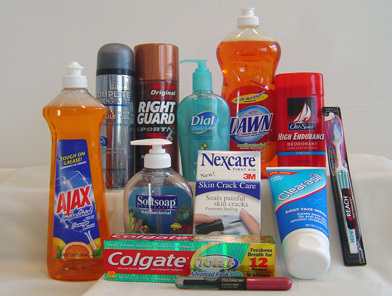 Hundreds of chemicals (sometimes harmful) are present in these products which can be absorbed by your body. The cosmetic industry is one of the most unregulated industries. The approval procedure is minuscule, and it only checks for the presence of over-the-counter drugs or color additives in these products. Parabens are preservatives added to beauty products to prevent the growth of bacteria, yeast, and mold. These chemicals can take a hefty toll on your skin. Parabens mimic estrogen, which is a hormone that plays a part in the development of breast cancer and other diseases. The skin absorbs these chemicals and is found in many biopsy samples of breast tumors. Facial cleansers, body washes, shampoos, deodorants and makeup contain Parabens. Many pharmaceutical and food products are also said to be having Parabens. The National Toxicology Program (NTP) labeled Formaldehyde as a carcinogen. It is mainly present in shampoos, hair-smoothening products and body soaps. Other than cancer, Formaldehyde can cause nausea, asthma, and coughing. You should always be careful while reading labels because many products contain variants of Formaldehyde and thus goes unlisted. These are known as FRPs (Formaldehyde-Releasing Preservatives). DMDM (dimethyl-dimethyl), sodium hydroxymethyl glycinate, quaternium-15, etc. are FRP’s. Certain chemicals in sunscreen products act as agents that absorb ultraviolet light. The body readily absorb these artificial ingredients, and it causes disruptions to our endocrine system. These chemicals also have the capability to cause cellular damage and expose the body to the hazard of cancer. Methoxycinnamate, avobenzone, benzophenone PABA, etc. are the common names of these chemicals. This is a petrochemical extracted from coal tar or crude oil. Phenylmethane, Toluol, Benzene and Methylbenzene are the names you can find on the labels. Toluene has the capability to dissolve paint. So, can you imagine its effects on our skin cells? It can adversely affect your respiratory system as well. Women who are expecting should avoid exposure to this chemical at all cause. It might damage the development of the fetus. It is proven toxic to the immune system and can be found in nail polishes and bleaching products. It is an antimicrobial chemical which is present in a lot of products and is known to be an endocrine disruptor. It can negatively impact reproductive and thyroid hormones. It is a skin irritant as well. Many antibacterial soaps advertise by saying that Triclosan can give improved results. But, the supporting evidence for this claim is sparse. Certain studies indicate that microbes might get resistant to antibiotics because of triclosan. It is found in toothpaste, deodorants, and antibacterial soaps. It might not be possible to discard all chemicals altogether. But, should be vigilant in limiting your body’s exposure to numerous toxins. Go for organic products whenever possible. Do ample research and educate yourself before you take decisions on buying beauty products. Other than the toxins listed above Propylene Glycol, Sodium Laureth Sulfate (SLES)/ Sodium lauryl sulfate (SLS), Phthalates and certain synthetic colors are also harmful to your skin. Be sure to take a look at FixYourSkin to know more about what kind of products and nutrients benefit your skin the most. This way, you can choose natural and organic products and be miles away from the toxins listed above. « The Top Stressor Experienced by those in Relationships! That s really an interesting post with great advices! so many things I didn t even know. I wissh you a great week!